The BFA Advancement Expo is an opportunity for students to receive constructive criticism on their thesis proposals. 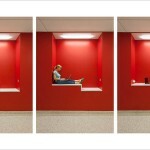 It facilitates the exchange of ideas between faculty, BFA’s, and their peers. The College of Fine Arts proudly produces the monthly e-newsletter, "News Around the College", which showcases each department's events and opportunities. 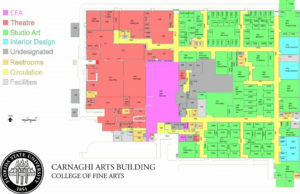 The Carnaghi Arts Building (CAB) accommodates studio space for several departments in the College of Fine Arts, including the Department of Art, the Department of Interior Architecture + Design, and the School of Theatre. 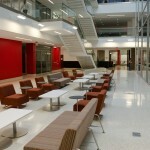 This 114,000+ square foot space provides a unique and collaborative learning environment for students in all art disciplines. 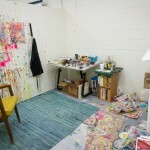 CAB houses the Department of Art’s BFA and MFA student studios, where students can create works of art while fostering a community between the programs. 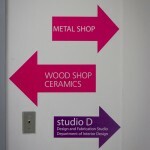 MFA students have access to the photo documentation room, ceramics shop, multi-use room, wood-shop, and the metal shop. This building also contains the MFA Gallery and the Phyllis Straus Gallery, built to host exhibitions that are open to the public. 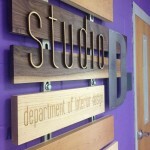 The Department of Interior Architecture + Design recently expanded the wood shop studio and opened Studio D: Design and Fabrication Studio at the Carnaghi Arts Building. 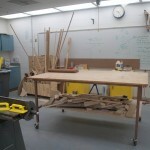 Studio D is home to the department wood shop which includes traditional milling and woodworking equipment. It also houses digital fabrication equipment such as an Epilog laser cutter, a 2Bot subtractive model maker, and a Makerbot additive 3d printer. 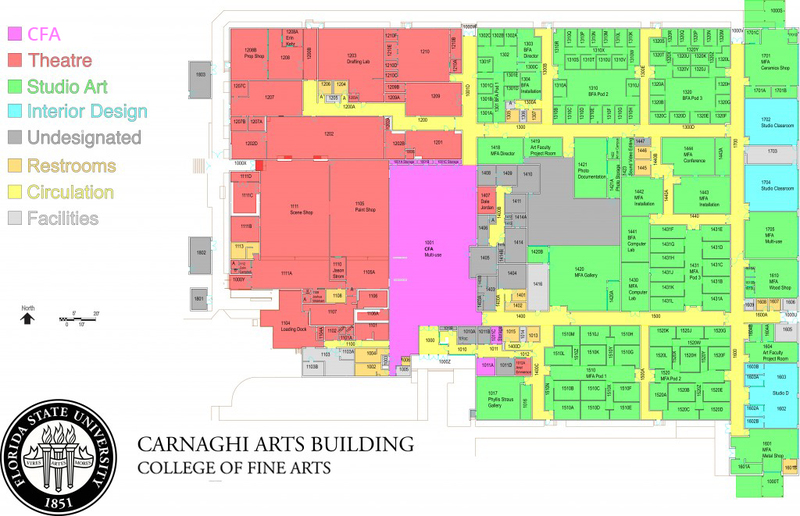 The Carneghi Arts Building is the home to the School of Theatre’s Scenic Studios. 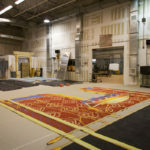 This newly renovated, 35,000 square-foot facility houses the School’s Scene Shop, Paint Shop, and Prop Shop as well as classroom and workshop space for undergraduate and graduate students. 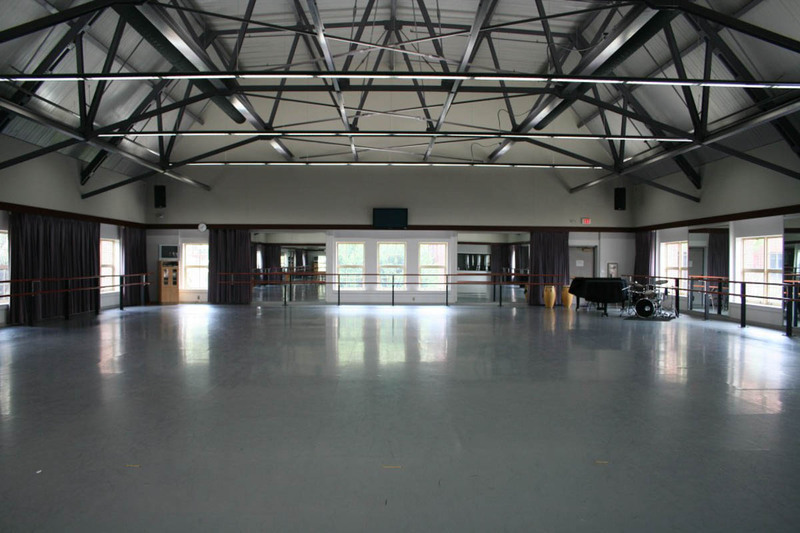 In 2004, a seventeen million dollar renovation transformed School of Dance‘s Montgomery Hall into a state-of-the-art dance facility with six studio spaces, a conditioning studio, costume shop, centers for music and technology, a black box theatre, as well as the fully equipped proscenium Nancy Smith Fichter Dance Theatre which seats 380. Several concert series are presented annually including Days of Dance, Evening of Dance, and Master Thesis Projects. 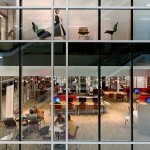 All studios are equipped with audio and video systems, Internet access, and Harlequin panel system sprung floors. Each studio has a grand piano with the exception of the faculty warm up studio. 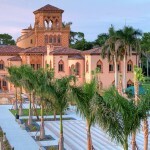 Completed in 1929, it was once a gymnasium for physical education, a swimming pool, and a bowling alley. 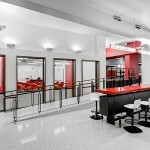 Today, it is a fully-renovated facility for the School of Dance. 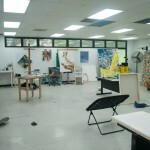 The Fine Arts Building houses the main art offices as well as numerous undergraduate classrooms as well as the Fallon Theatre and specialized labs for Foundations, Photography, Ceramics, Sculpture, and Digital Media. 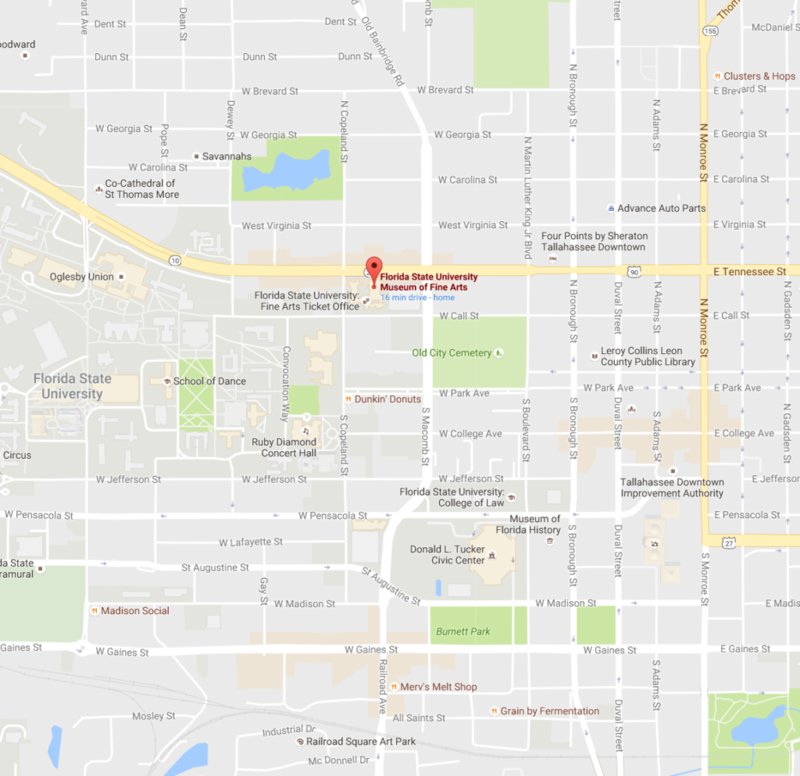 It is home to the Department of Art, School of Theatre, Office of the Dean and the Fallon Theatre. The William Johnston Building is home to the Departments of Interior Architecture + Design, Art Education, Art History and the School of Art & Design’s library and gallery. 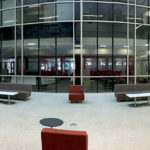 It holds classrooms, studios, critique spaces and computer labs, most available with 24/7 swipe access for majors. 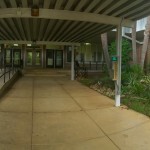 The east-facing original section of the building, which contains the Suwannee Dining Hall, was built in 1913. The west-facing, newly renovated section opened in 1939. 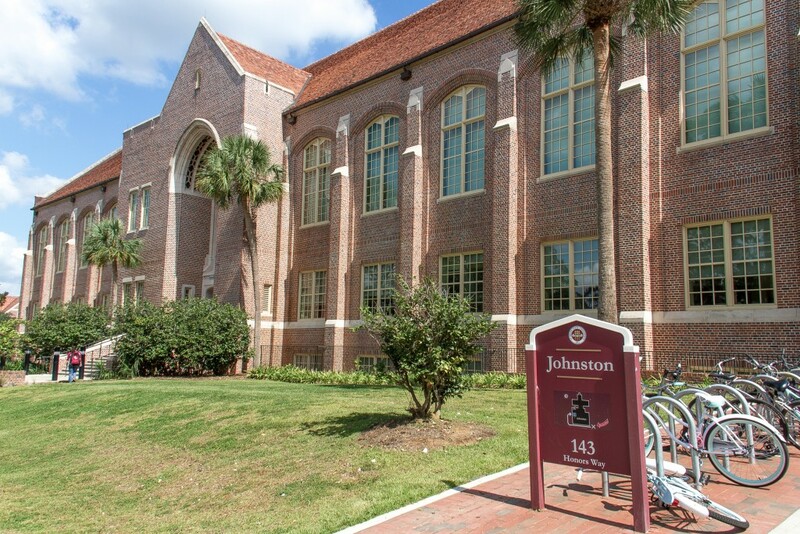 The entire Johnston Building was known as the Dining Hall for roughly 60 years because it housed a bakery, a creamery, a cannery, an informal dining hall, two formal dining halls and a private dining area for the university president. 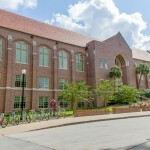 In the 1980s, the building was named for Florida State benefactor William H. Johnston, a hotelier from Jacksonville, Fla.
During the recent renovation of the 1939 section, great care was taken to preserve many of the building’s historical interior finishes, including the salt-glazed tile wainscot in the foyer of the first-floor lobby and on the second floor between the two formal dining halls, which are now lecture halls; wood ceiling beams and hand-painted cork ceiling tiles that depict sparrows, butterflies, herons and waves; and the cast-stone sculpture of Demeter, the Greek goddess of plenty, which is above the west-front doors. The architects of Gould Evans Associates and a consultant from H2 Engineering designed the Johnston Building to conform to the standards of the Architecture 2030 Challenge, an initiative by the global architecture and building community to build “carbon neutral” buildings that strive to emit zero greenhouse gases in their operation. 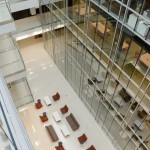 The renovation marries a traditional collegiate Gothic exterior with an ultramodern interior, which includes a dramatic five-story atrium. 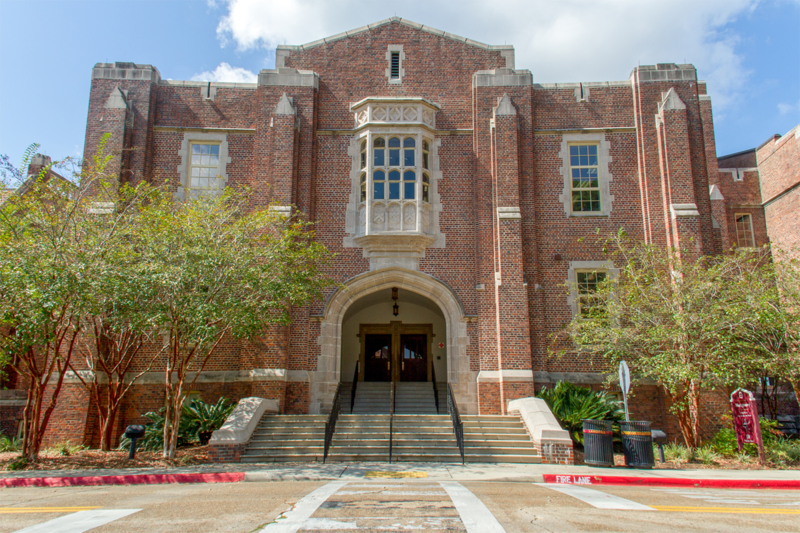 With 143,000 square feet, it houses portions of the Division of Undergraduate Studies and the colleges of Communication and Information; Human Sciences; and Fine Arts. 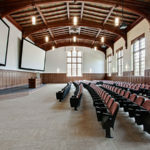 Following this historic renovation and an expansive new addition, the William Johnston Building at Florida State University (FSU) in Tallahassee, Fla., has earned LEED® Gold certification. 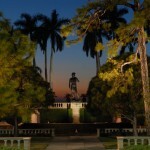 In 2000, the Florida legislature placed the stewardship of The Ringling, located in Sarasota, FL, under Florida State University. 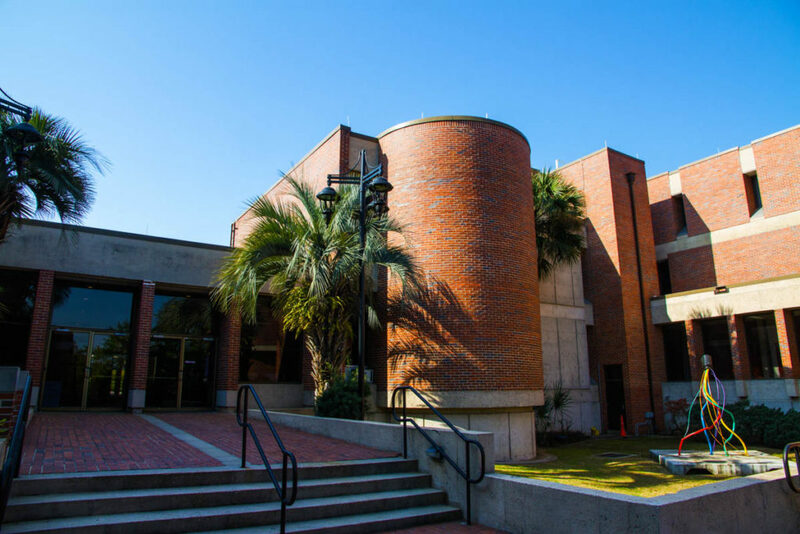 FSU has a long tradition of excellence in the arts, and the College of Fine Arts contains some of the leading arts programs in the nation. 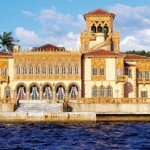 The Ringling cultural campus is home to the Sarasota Ballet, Asolo Repertory Theatre, and FSU/Asolo Conservatory for Actor Training making it one of the largest college arts complexes in the country. 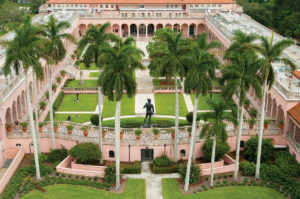 Florida State University’s master’s program in Museum and Cultural Heritage Studies combines intensive academic coursework with the faculty in Art History at FSU with a full year of internship and professional coursework at The John and Mable Ringling Museum of Art. The program provides insight and training for museum careers through practical work experience not available in most academic settings. 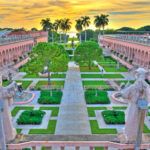 After completing eight museum and art history courses in Tallahassee during the first year of study, students spend their second year in Sarasota at The Ringling. 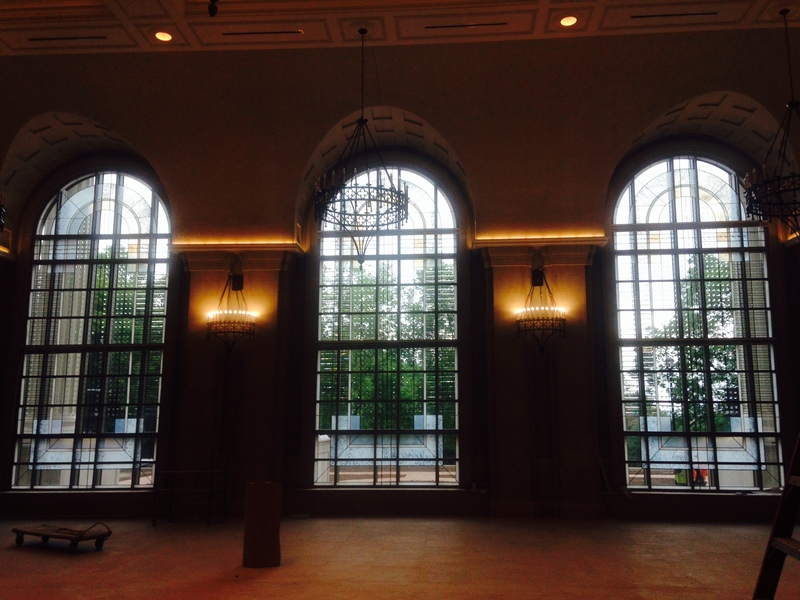 There they participate in the daily operations of specific museum departments and are intimately involved in all aspects of museum operations. 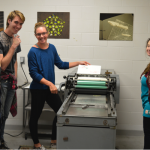 A final project growing out of coursework and the internship serves as a capstone experience. For additional information please write Dr. Michael D. Carrasco at mcarrasco@fsu.edu, director of Museum and Cultural Heritage Studies, or consult the program’s webpage. 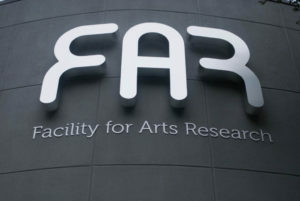 The Facility for Arts Research (FAR), supports rigorous investigation and inquiry across artistic media and disciplines with a focus on technological innovation. 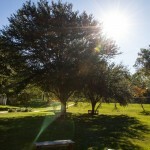 FAR is housed in a 22,500-square-foot facility nestled on 5 acres in northwest Tallahassee. 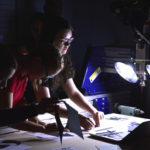 The facility offers space and specialized equipment for experimental printmaking, spatial audio, electronics and digital fabrication to researchers, faculty and students as part of a rigorous interdisciplinary investigation into making. 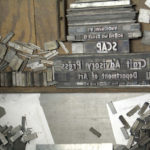 FAR incorporates formLab, which gives artists, designers and scientists access to a variety of tools to engage in hybrid digital/physical practices, and Small Craft Advisory Press (SCAP), which blends traditional and digital printmaking processes to create collaborative artists’ books, and REBOOT, a laboratory that looks toward our culture’s production of waste as a point of departure for a critical engagement with technology. 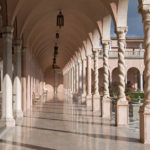 FAR’s mission is to develop and share arts research-related resources with Florida State University and the larger community, providing a variety of classroom experiences, residencies, exhibitions, internship/volunteer opportunities and workshops. 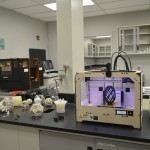 Our 3D Printing Lab houses three machines that use three different materials and processes to produce prints. 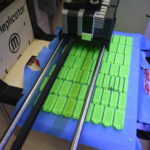 The MakerBot uses a heated extruder head to produce prints with ABS or PLA plastic, the Mcor Matrix 3D Printer uses a unique additive and subtractive process with regular office paper, and the Zcorp 3D Printer uses a special plaster-like powder. The lab offers access to a ventilation hood for model post processing. 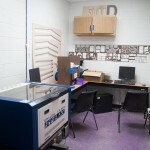 The Laser Lab contains FAR’s two laser cutters and materials storage racks. The Epilog Legend 36EXT Laser engraver has a bed size of 24 x 36 inches and the Epilog Zing Laser engraver has a bed size of 12 x 16 inches. 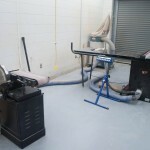 The Materials Processing lab houses FAR’s ShopBot CNC Router, belt sander, and table saw. The ShopBot CNC router is a 3 axis machine with additional 4th axis potential for milling work and is equipped with a vacuum table. 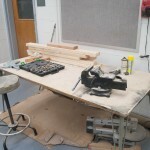 The router can be used for woodwork as well as drawing or cutting with a drag knife. 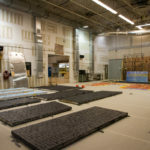 The Facility for Arts Research (FAR) is RhinoFabLab certified and is an Authorized Rhino Training Center, furthering its mission to provide resources for research and education with a focus on hybrid art/design methods. As a RhinoFabLab, FAR is committed to teaching, conducting research and sharing resources about all aspects of design and fabrication. FAR is equipped with Rhino and Rhino-compatible software complimented by a variety of fabrication hardware including lasers, 3D printers and a ShopBot CNC router. 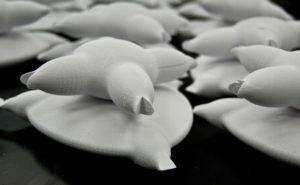 RhinoFabLab status enables FAR’s faculty, staff and visiting researchers to communicate within a global network of RhinoFabLabs, sharing research and keeping abreast of and developing best practices in the current 3D fabrication landscape. 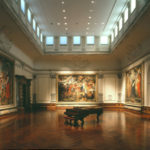 The Museum of Fine Arts (MoFA) has a history of exciting projects—from lush painting to dynamic sculpture exhibitions, from challenging installations to provocative photography shows. Every season begins with an international competitive exhibition that embraces all media and every semester closes with the youth and exuberance of the graduating artist exhibitions. 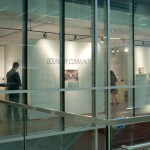 The mission of the Museum is twofold: to enrich the university and the community by exhibiting works of art which expand the understanding of art today and of the past, and to serve as a teaching instrument for art instruction, particularly by holding exhibitions of informational value to students and the general public and by providing student artists with an arena to exhibit their work. 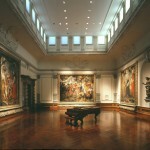 The Florida State University Museum of Fine Arts is a member of Florida Association of Museums, Florida Art Museum Directors’ Association, Florida Cultural Action Alliance, Southeastern Museums’ Conference, and is accredited by the American Alliance of Museums. 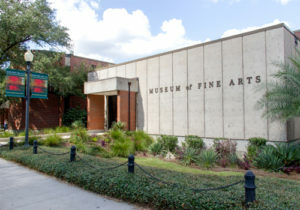 The Museum is in the East Wing of the Fine Arts Building, which is located at the corner of West Tennessee and Copeland Streets on the campus of Florida State University. 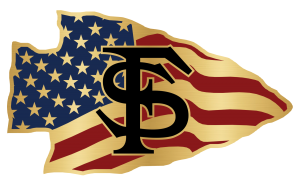 For directions to Florida State University, please visit the FSU Visitor Center. Meters in the parking garage adjacent to the Museum are on the very lowest level of the garage near the Macomb Street entrance. After 4:30 M-F, and all day on weekends, the garage is open to University visitors and guests of the Museum. 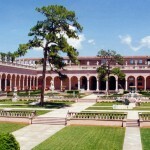 Call (850) 645-4681 for tours, group, and accessibility information. Located on Copeland Street between St. Augustine and Lafayette Streets, The Lab Theatre is a three-quarters thrust stage with a seating capacity for 150 theatre patrons. Established in 1987 as a performing venue for the School of Theatre, The Lab Theatre provides a truly unique and intimate theatre experience. The Lab Theatre recently underwent renovations to upgrade the lighting and power distribution systems, and the air conditioning system.